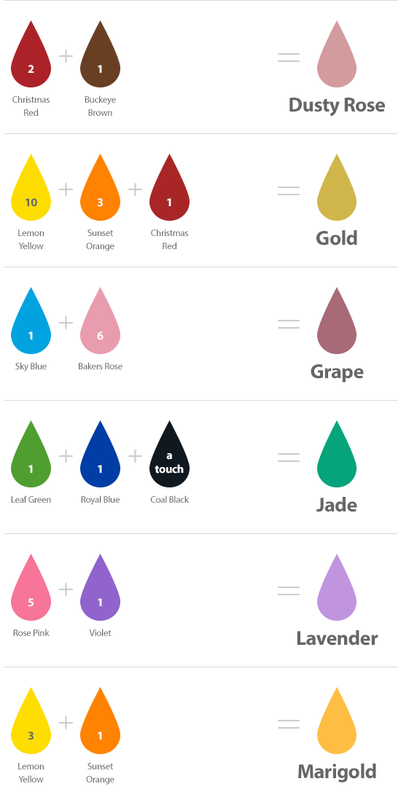 Create a wide variety of colours by mixing and matching colours. 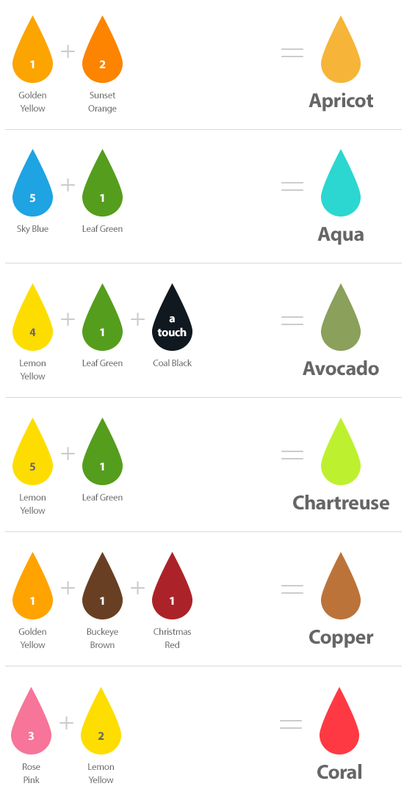 Colour numbers are pantone. We stock the full range of Chefmaster Liqua Gel in .70oz bottles. Please note that colours below are a representative and may vary due to different monitor calibration.